Shri Singha Shedra (Tib. ཤྲཱི་སིམཧ་བཤད་གྲྭ, Wyl. 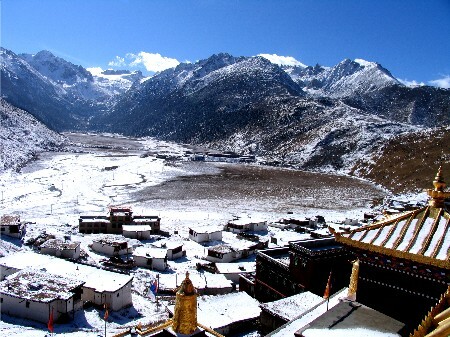 shrI simha bshad grwa) — the famous shedra at Dzogchen Monastery founded by Gyalsé Shenpen Thayé in the nineteenth century, which produced many of the finest scholars in Tibet. Among the great masters who studied and/or taught at the shedra were Khenpo Pema Vajra, Mipham Rinpoche, Khenpo Shenga, Khenpo Ngakchung, Khenpo Kunpal, Pöpa Tulku and Khenpo Tsöndrü. This page was last edited on 29 March 2018, at 21:22.